Dating back to the 1980’s, Condor’s diamond drilling engineers were among the first to perfect the system for installing lock ladders into the sides of the locks. With the construction of the largest diamond drilling rigs in the UK, we have the capabilities of drilling and installing lock ladders up to 9 metres deep within one working day. Having installed over 400 ladders to date, Condor Projects Ltd also have the capabilities to cut the semi-circular recess without the lock having to be closed or emptied to allow boat traffic to continue unimpeded. 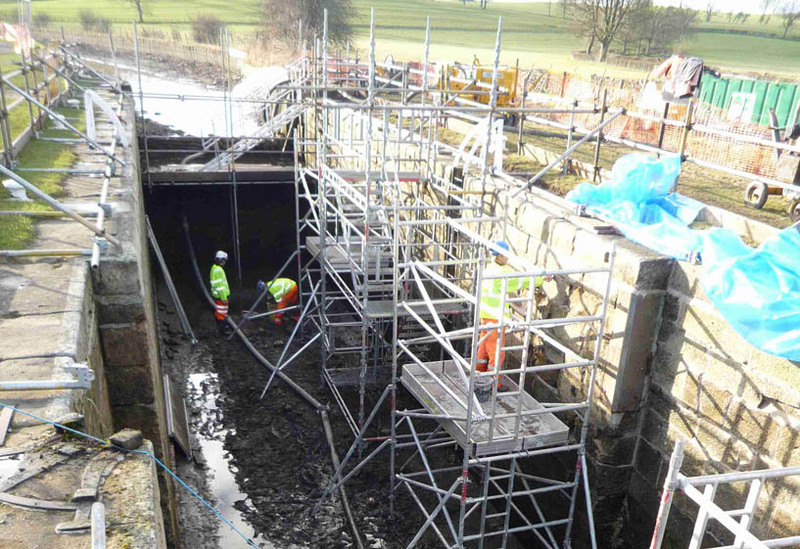 Condor Projects Ltd also have a unique parallel track system to allow the perfect cutting of the square recessed ladders required on the listed locks within the British Waterways network. 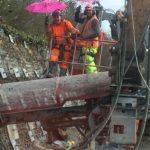 With skill, the perfect cutting can be dressed by our own stone masons to give the appearance that the ladders have been in place for the generations.